The gym is no strange place for my girls. With Mick and I visiting 5/6 days a week and then with CrossFit South East Queensland introduced the kids classes back in May last year, Elizabeth as been training for 3 days a week and Charlotte in-between her dancing as well as coming with me to Saturday morning bootcamp (I get in trouble if I leave her behind). 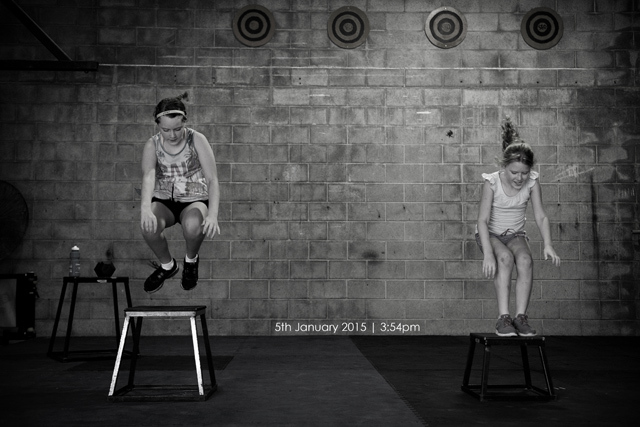 Kids excited and happy to exercise is such a great thing.